When to follow the rules and when to violate them? When to preserve beautiful order and when to flirt with anarchy? Several laws were broken during the course of that short drive: speed limits, car seat requirements (my wife held our frightened, gasping son in her lap), lane change regulations, stop sign commands. The law makes no exception for taking these actions in the event of an emergency. Here in Ohio, for example, if you are responding to an emergency in an official vehicle equipped with a flashing light visible from 500 feet away and an audible siren, the traffic laws largely don't apply to you. But, if you're a private citizen driving a Honda, the fact that you are responding to an emergency doesn't exempt you from the rules. What kind of father would I have been if I wasn't willing to break the law anyway in that situation? If I had insisted my wife buckle our gasping son in his car seat the backseat instead of holding him tightly and giving him as much comfort through connection as possible? If I had obeyed the 25 mph limit in our neighborhood, coming to a complete standstill at every stop sign? If I had maintained the prescribed distance behind the car in front of me and signaled for the prescribed period of time before changing lanes? And yet, if a police officer had tried to pull me over that night as I raced to the hospital, I have little doubt I would not have been ticketed once I finished ignoring his lights and sirens and continued speeding to the emergency room anyway. A human officer would have recognized the situation and done what the dispassionate law would not: ignore the rules and my breaking of them. 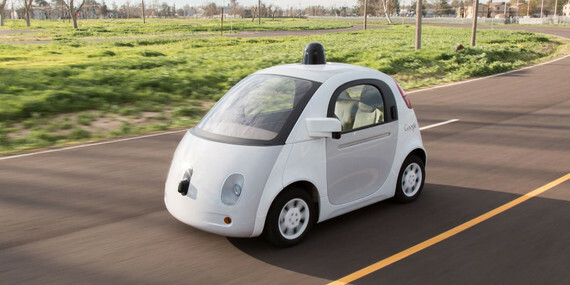 What if the car in my garage that night had been a self-driving autonomous car? The self-driving car, that cutting-edge creation that's supposed to lead to a world without accidents, is achieving the exact opposite right now: The vehicles have racked up a crash rate double that of those with human drivers. What does this have to do with leadership? Everything, if you intend to lead a group of people and expect them to think and solve the unforseeable problems that every organization encounters. It is easy to succumb to the fears and uncertainty from trusting people to know when to follow the rules, and when they should break them in order to achieve the more important mission of the organization. As a leader, who would argue with this concern? "It's a sticky area. ... If you program them to not follow the law, how much do you let them break the law?" And yet, to do otherwise is to give rule compliance precedence over mission completion, obedience over results. In his book Leaders Eat Last, Simon Sinek relays the story of an FAA air traffic controller who chose to break the rules regarding airspace management in order to guide an airliner in distress down to the ground as quickly as possible. Nobody reading the story would argue this air traffic controller should have acted otherwise and blindly followed the rules. Yet, when it comes to our own people in our own teams, the question bedeviling the programmers of the Google Self-Driving Car project often screams the loudest: how much do you let them break the law? The responsibility of a leader is to provide cover from above for their people who are working below. When the people feel that they have the control to do what's right, even if it sometimes means breaking the rules, then they will more likely do the right thing. Courage comes from above. Our confidence to do what's right is determined by how trusted we feel by our leaders. If good people are asked to work in a bad culture, one in which leaders do not relinquish control, then the odds of something bad happening go up. People will be more concerned about following the rules out of fear of getting in trouble or losing their jobs than doing what needs to be done. And when that happens, souls will be lost. Lead people who will break the rules at times as they focus on accomplishing something more important, or issue commands to automatons who will follow the rules no matter what. Creativity vs control: you choose. Lance Salyers currently serves as a corporate executive after a first career as a prosecuting attorney. He blogs about the fundamentals of people-focused leadership at his website: Leading With IDEAS.